What's "In Store" For Retailers This Black Friday? This year Black Friday falls on November 24. To help retailers prepare to gear up for the big day, Periscope By McKinsey conducted its second annual research into consumer expectations surrounding Black Friday, including whether consumers intend to shop and, if so, their motivations for doing so as well as their desired shopping channel. What follows are some of the top-level findings from the research. 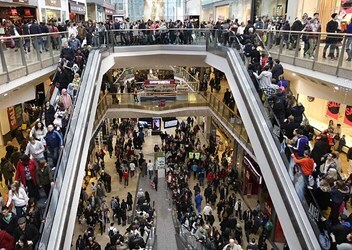 The findings revealed consumer expectations around Black Friday are riding high. Of the 2,585 U.S. respondents who participated in the survey, almost half (44 percent) confirmed they will be shopping this Black Friday — compared to just 26 percent who signaled they planned to participate in 2016 and 23 percent who were undecided. This could be indicative of consumer confidence that’s been steadily returning and hit a five-month high in August 2017, supported by strengthening optimism about current business conditions. This positive attitude also appears to have weakened previous consumer skepticism around the deals encountered during the event. Only 13 percent of U.S. consumers this year expressed concerns that Black Friday was a marketing trick, with retailers artificially inflating prices prior to the event to convince shoppers they’re getting a great deal. This represents a solid improvement compared to last year’s survey, when 28 percent of respondents expressed cynicism surrounding Black Friday. Either retailers are winning trust with more authentic offers that ring true with consumers and drive engagement — or consumers are becoming savvier at evaluating the true value of the deal options they encounter. For consumers, Black Friday has become synonymous with special promotions not available at other times of the year. As a top motivating factor for 37 percent of U.S. shoppers surveyed, retailers will need to be sure they deliver on this key promise with enticing “one-off” offers that are unique and differentiated — or risk disappointing consumers and switching them off from participating in future years. As expected, steep discounting was the second primary motivation for consumers; 36 percent of U.S. respondents said they would be on the hunt for truly tempting offers. Events like Amazon Prime Day have prepared consumers to expect personalized marketing offers that relate to their known purchasing history and future likes and wants. But, when asked what would spur them to make a purchase, just 4 percent of U.S. consumers anticipate being inspired by a personalized discount indicating retailers are potentially missing a major opportunity by putting their marketing efforts into the generation of blanket mass or untargeted offers. Asked what personalized marketing would most appeal to them, gaining privileged access to additional discounts was uppermost in most consumer minds (41 percent of respondents). Early access to Black Friday sales was also high on the agenda for consumers (31 percent of respondents). In recent years, Black Friday has been viewed as an increasingly digital shopping event. However, the 2017 research reveals around one-third of U.S. respondents (36 percent) are planning to conduct their Black Friday shopping activities both in-store and online. That’s a big jump from last year, when just 18 percent said they would divide their shopping activities equally between digital and physical channels. The findings also show 9 percent of U.S. consumers intend to shop online only, with a further 25 percent saying this year they anticipate mostly shopping online. Regardless, the excitement of the physical store experience still retains a strong appeal for many Black Friday bargain hunters — something especially true for the 28 percent of U.S. consumers who say they only or mostly plan to shop in-store this shopping holiday. So How Can Retailers Capture Black Friday Shoppers? Consumer attitude around Black Friday is overwhelmingly positive, so retailers will need to ensure they don’t undermine what continues to be the most popular event in the shopping calendar. That means retailers and brands need to “keep it real” with meaningful offers and promotions that resonate with consumers. With consumer confidence currently riding high, ongoing promotional energy, increased personalized marketing, and the right markdown strategy should positively motivate customers to shop. It will be critical for retailers to streamline omni-channel journeys and connect the physical and digital experience. Armed with smartphones and desktop/laptop computers, today’s consumers are doing their homework and researching purchases before they head in-store or online. Findings showed U.S. consumers value the tactile experiences offered by physical stores — and the opportunity to check out the qualities of the products they intend to purchase. Retailers must not lose sight of their physical store strategy, understanding which product categories consumers want to shop for in-store vs. online. The retailers who can tie them together will come out winners. The ability to communicate offers clearly and in every channel will be essential for retailers. Consumers, inundated with information and options, are looking for the personal touch that speaks to their needs and expectations. While mass discount offers create awareness and excitement, consumers would welcome personalized offers and loyalty rewards that steer them to the merchandise that’s right for them — at a price that engages them to act. Retailers and brands able to leverage analytics on an individual customer’s known research interest areas (individual items and the wider product categories they explore) will be well-positioned to create customized offers or personalized marketing messages that drive sales. To view the complete research findings, download the report, Black Friday 2017 Shopping Report: Consumer sentiment is riding high.